Realme emerged as a perfect competitor to Xiaomi last year as the company launched some impressive phones with aggressive pricing. Last year, we got five phones from the company, all of which were priced under Rs 20,000 in India. 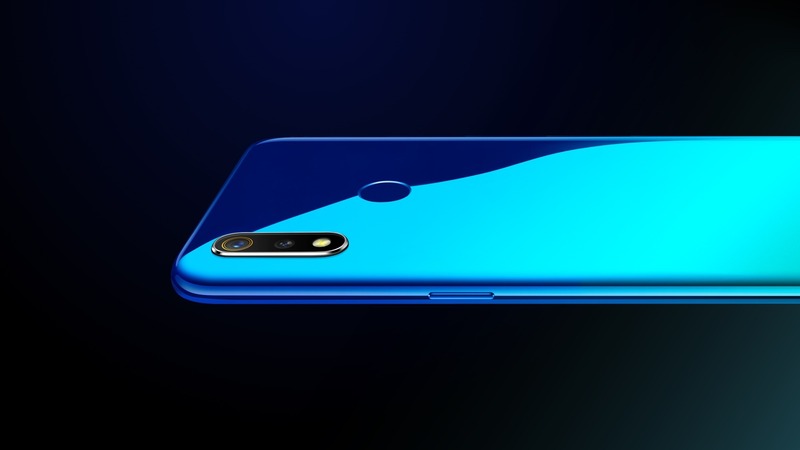 Realme 3 launched in India last month and at the launch event, the company announced that the Realme 3 Pro would launch in April. Now, some details related to the phone have emerged, and it looks like Redmi Note 7 Pro is finally getting a solid competition. According to folks at IndiaShopps, a source shared a couple of details with them. First, the build quality would remain the same as Realme 2 Pro, i.e., a plastic back. It would be a ‘High-Quality Plastic’, but we doubt if this information is correct since Redmi Note 7 Pro comes with a glass back and even Realme showed that when the company announced Realme 3 (Image Above). Realme showed in the presentation that the Note 7 Pro has a plastic frame so maybe Realme 3 Pro comes with a metal and glass design. Still, if the information shared by the source with IndiaShopps is correct, then plastic build would be a big con. The Realme 3 Pro would reportedly feature a Sony IMX519 camera sensor which is the same sensor as on the OnePlus 6T. So, the company is taking the cameras pretty seriously now. Realme has already announced that it would launch a phone with a 48MP camera this year so if it isn’t the 3 Pro, then which phone is it? Then, coming to the processor, the phone would launch with Qualcomm Snapdragon 710 processor which is a 10nm octa-core chip. The CPU performance might not be better than the Snapdragon 675 (which is there on the Note 7 Pro), but the GPU, the manufacturing process, etc. are superior. There would be three storage variants including 4GB + 32GB, 4GB + 64GB & 6GB + 64GB. So again, it is weird that there is no 128GB variant since the Realme 2 Pro of last year had an 8GB + 128GB variant as well. There are also rumors that the phone has VOOC 3.0 Fast Charging, so that’s interesting. All these are leaks so consider them with a pinch of salt. Still, one thing that’s confirmed by the company itself is the launch month. The launch is happening this month so stay tuned.